Prams & strollers cannot be taken through any of the caves. 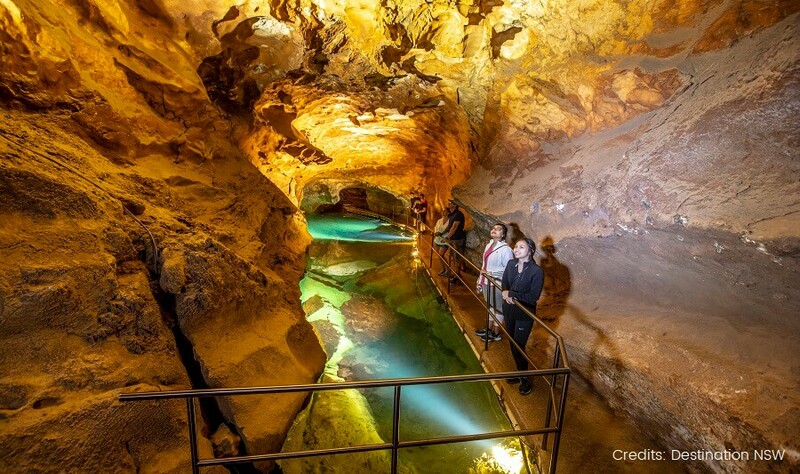 Join us on the Jenolan Caves and Blue Mountains Tour, with one of our experienced guides who will outline the itinerary on the day whilst you enjoy your journey west from Sydney to the Blue Mountains and Jenolan Caves. Leura is one of the many stops along the way on our Blue Mountains Day Tour. The town of Leura is one of several towns within the Blue Mountains which captures the scenery and spirit of the region. Art Galleries, bookstores, and antique shops are common within the area which is covered by a diverse range of trees lining the streets. 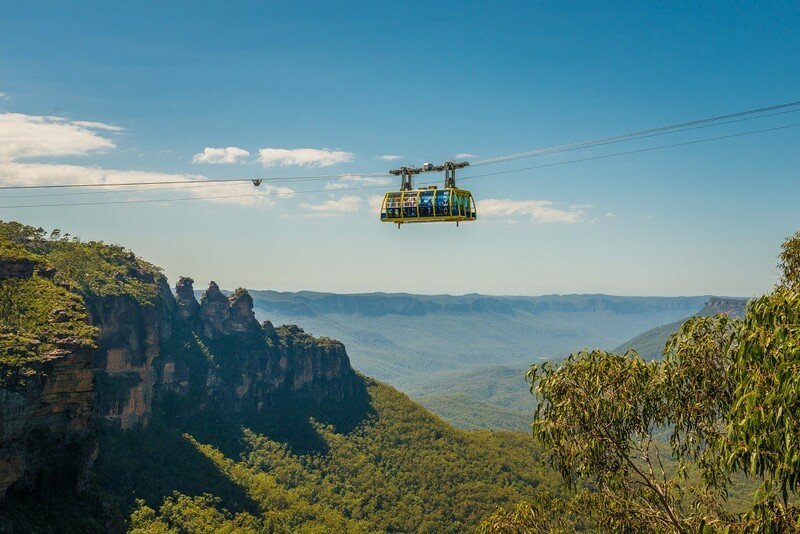 Katoomba is the Gateway entrance to the Blue Mountains. 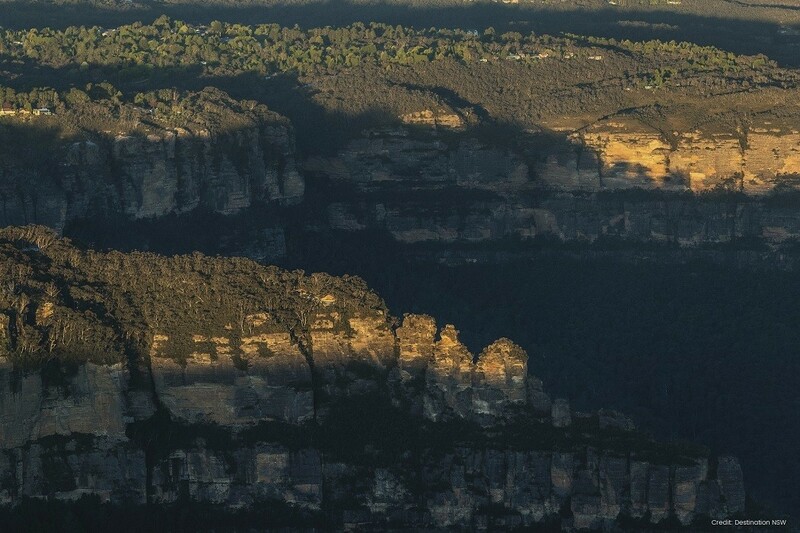 Katoomba is well known for the ancient mining which took place as early as 1879. Many cafes and restaurants dominate the prestige location, as well as heritage listed cottages. 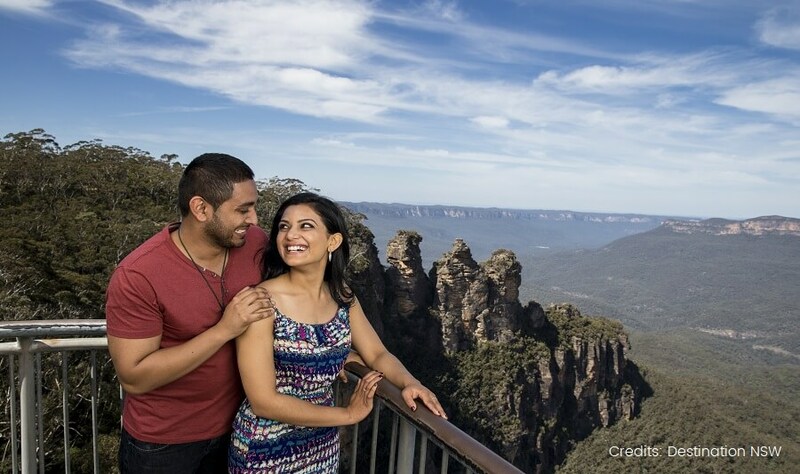 A Blue Mountains Photo Stop allows for a stunning photo opportunity of the Blue Mountains and surrounding sights. 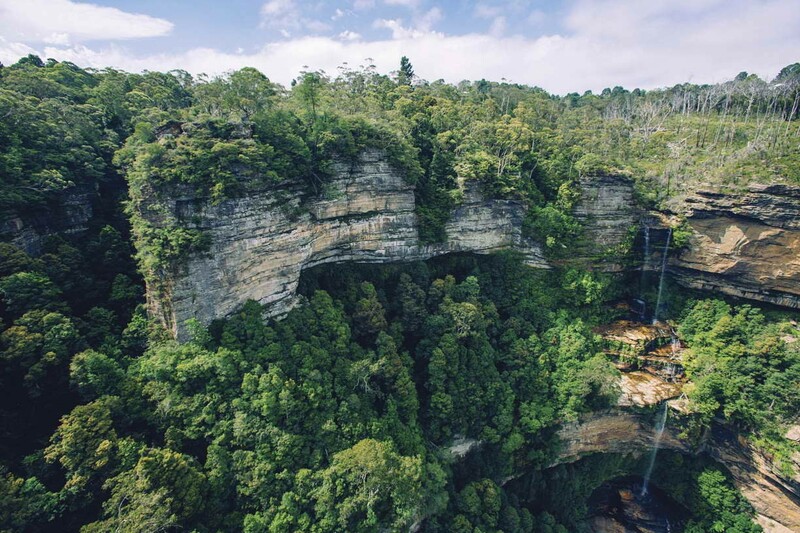 The Blue Mountains area covers 10,000 square kilometres, with a range of cliffs, canyons, wildlife and diverse vegetation all common within the area. 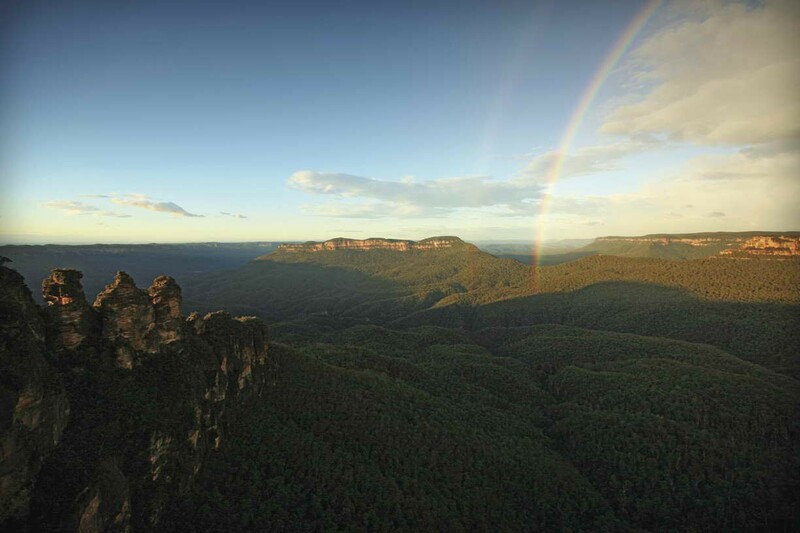 We have a fantastic photo opportunity at a Echo Point, where you can view The Three Sisters. The Three Sisters are an unusual rock formation which according to Indigenous Stories, involved three sisters turning into stones. Sunlight affects the colouring which is displayed on the faces of the Three Sisters. Each of the Three sisters stands at 922, 918 and 906 meters in height. 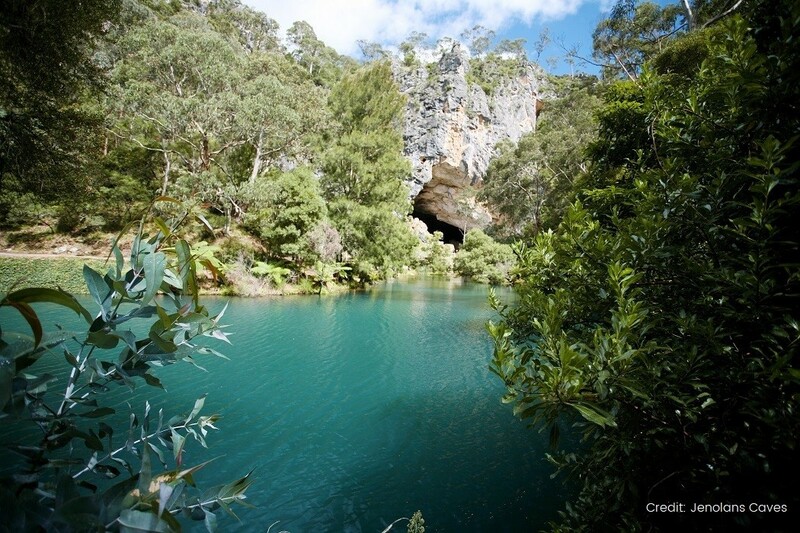 The Jenolan Caves are the highlight of the Blue Mountains Day Tour. 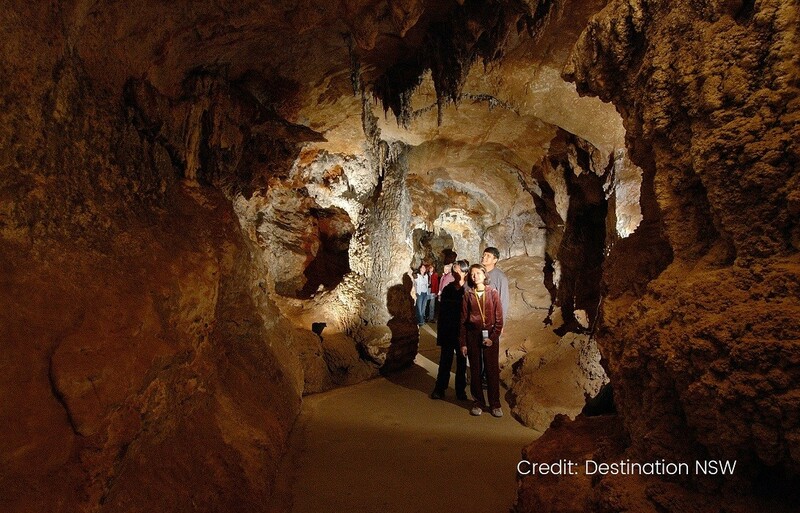 You guide will take you to explore Lucas Cave, the largest and tallest chamber of the Jenolan Caves. The Chamber reaches a total height of 54 meters and is referred to as the Cathedral. Lucas Caves are not only for eager tourists, they have even been used in underground music concerts. Blue Lake is our final stop on the Blue Mountains Day Tour prior to our return to Sydney. Mineral waters escape through the limestone cave formations to form one of the most stunning lakes throughout the country. The colouring of the lake symbolises purity - it is a photo opportunity not to miss! SMALL GROUP TOUR - Sit back, relax & enjoy a day of wine-tasting in the charming boutique wineries on this superb Hunter Valley wine tour.